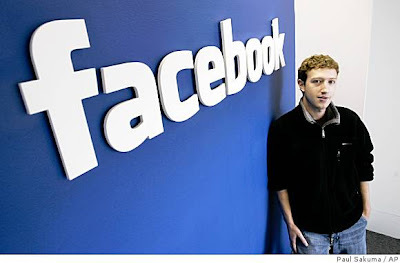 13 Above: Facebook Hit 300 Million !! It took Facebook five years to get to 150 million active users, a lightning-fast growth rate by any measure. But like track phenom Usain Bolt, the world's No. 1 social networking website atomized its own speed record this year by going from 150 million users to 300 million users in a little over nine months. Facebook today announced cracking 300 million users worldwide and becoming "cash-flow positive." The world's largest social network had set a goal of being cash-flow positive sometime in 2010. "I'm pleased to share that we achieved this milestone last quarter. This is important to us because it sets Facebook up to be a strong independent service for the long term," wrote Facebook co-founder and CEO Mark Zuckerberg in a blog post. Facebook hit 250 million users precisely two months ago, and 200 million users just three months before that. schedule (he had originally guessed "sometime in 2010") and called the milestone important "because it sets Facebook up to be a strong independent service for the long term." anyone who was hoping for an IPO. growth in 2009. Facebook board member Mark Andreessen recently estimated the company would hit $500 million in revenue this year. and doubling in size since the start of 2009. About 70% of its users are outside the U.S.
CEO Mr.Zuckerberg said in an interview with Bloomberg last month that Facebook hoped to increase its work force by 50 percent by the end of the year, but stressed that "the thing I want to remind people of is we're way closer to the beginning than the end."